BMO Financial Group and ACCES Employment have announced that BMO has become sponsor of the Speed Mentoring® program, a program designed to assist immigrants to Canada in entering the workforce in their areas of expertise. 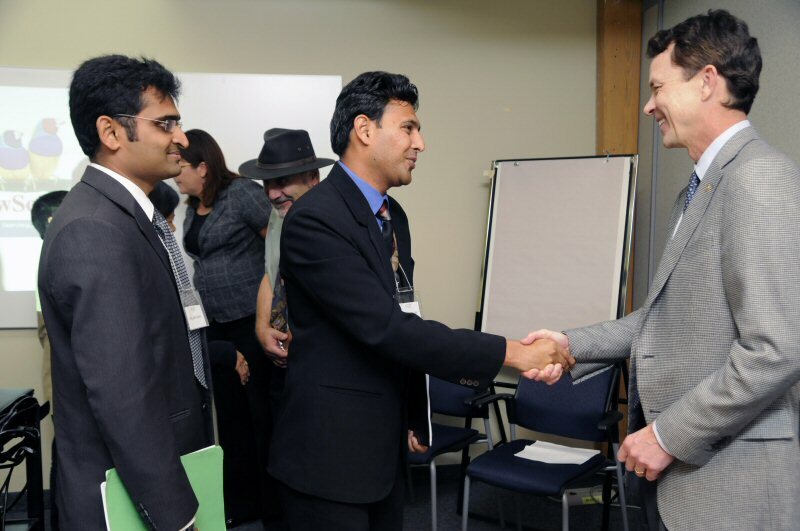 Speed Mentoring® involves a group of employees – mentors – from a leading company meeting with new Canadian job seekers. Such meetings offer immigrants an opportunity for getting inspired, making connections, being coached and motivated. An innovative solution to the barrier that newcomers experience given their lack of a professional network, Speed Mentoring® has provided over 1600 newcomers in Toronto with the opportunity to meet and connect to professionals in their fields since 2006. With the help of this sponsorship, the program will be able expand to cities nationwide, including Montreal, Vancouver, Calgary and Halifax. "BMO's support of ACCES Employment's Speed Mentoring® initiatives is helping talented new Canadians make professional connections and find employment in their field of expertise," said Allison Pond, Executive Director, ACCES Employment. "As Canada's first bank, BMO has a long and proud history serving the financial needs of new Canadians," said Frank Techar, President and Chief Executive Officer, Personal and Commercial Banking Canada. "We first came to know ACCES through the United Way Toronto's Days of Caring. Our team volunteered in the Speed Mentoring program. Each of us met one-on-one for ten minutes with each jobseeker. The Speed Mentoring program is a win-win, providing each job seeker with great networking and employers with a rich source of incredibly talented people." Established in 1817, BMO Financial Group is highly diversified. BMO works with millions of personal, commercial, corporate and institutional customers through its operating groups: Personal and Commercial Banking Canada, Personal and Commercial Banking U.S., Private Client Group and BMO Capital Markets. BMO employees are dedicated to making BMO the bank that defines great customer experience. ACCES Employment is a leader in connecting employers with qualified candidates from diverse backgrounds. More than 15,000 job seekers are served annually at five locations across the Greater Toronto Area. As a not-for-profit charitable corporation, ACCES receives funding from all levels of government, corporate sponsors, various supporters and the United Way Toronto. BMO's President and CEO of Personal & Commercial Banking Canada, Frank Techar (r), greets participants in ACCES Employment's Speed Mentoring® program. BMO's sponsorship of the program, which assists immigrants to Canada in entering the workforce in their areas of expertise, will allow it to expand to Montreal, Vancouver, Calgary and Halifax.